Gresford Architects’ Albyn Road is an imaginative and expressive contemporary addition to an 1850s house in a south London conservation area. 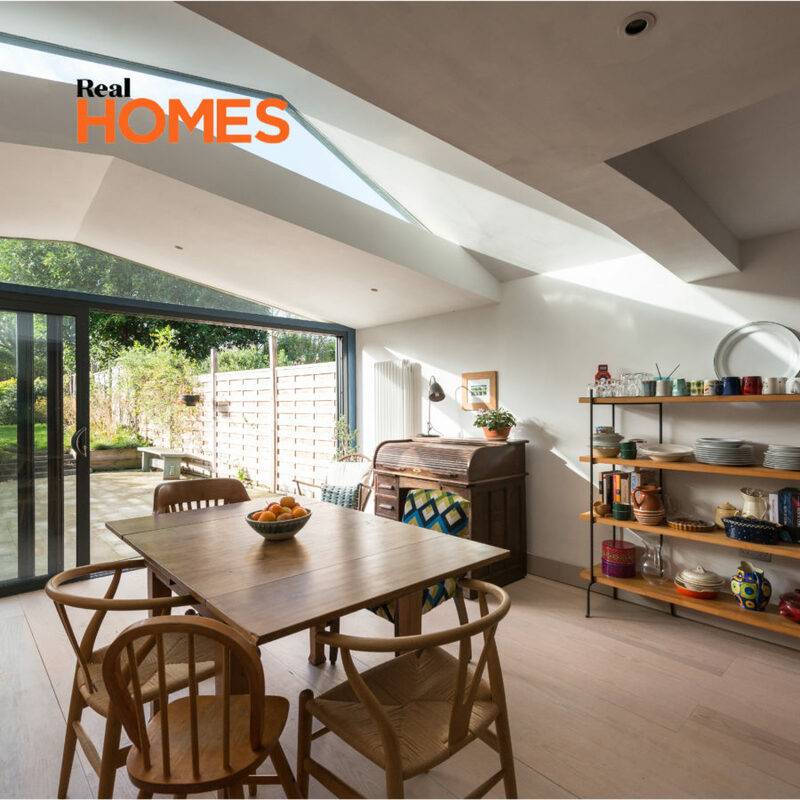 A rear extension and side return infill has created a bright and interesting new kitchen and dining room, and enhanced connections between the house and its garden. The key feature of the extension is its angular zinc-clad roof, which is a series of pitched roofs at different angles. This project was featured in Real Homes in June 2018.